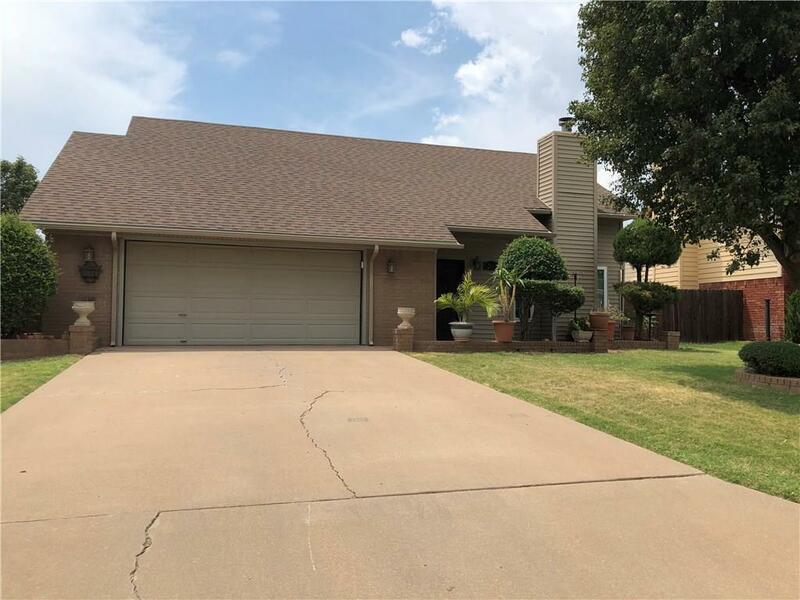 2913 Partridge Pl Altus, OK. | MLS# 827302 | CENTURY 21 Altus Prestige Realty, Inc.
Move-in ready home in desirable neighborhood. This home has a spacious living area with brand new wood floors and gas fireplace with glass tile surround. The kitchen and dining room have tile flooring and kitchen has custom cabinets, backsplash and granite counters. Continuing on the main floor is the laundry room, master bedroom, and full bathroom with granite counters and custom glass tile wall. The new wood flooring continues up the stairs and through the spacious landing. Upstairs are two large bedrooms with ceiling fans, and another full bathroom with beautiful tile and granite counter. Windows have been upgraded, and the whole house has fresh paint and carpets have been professionally cleaned. Out back there is a large covered patio, storage building, privacy fence with concrete footing and large A/C unit. Security system remains with the house. This home is a must-see! !